Organize, secure and customize your mail without installation. Multilingual Online will download setup in selected language (Afrikaans, Belarusian, Bulgarian, Catalan, Czech, German, Greek, English, SpanishInternational, Spanish, Basque, Finnish, French, Irish, Hebrew, Hungarian, Italian, Japanese, Korean, Lithuanian, Norwegian, Dutch, NorwegianNynorsk, Polish, PortugueseBR, Portuguese, Russian, Slovak, Swedish, Ukrainian, SimpChinese) and extract files. Associated to Firefox Portable if FirefoxPortable and ThunderbirdPortable folders are in the same folder. 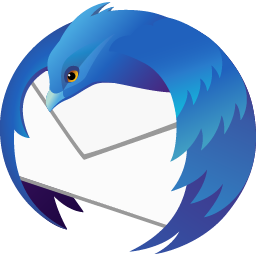 A link clicked in a mail will be opened in Firefox Portable (don't work on Windows 8 and above). Settings of installed Thunderbird should be preserved. The new version,, instead of opening with all my informations,opens up with a new inscription..If i use the one from portableapps,i do not have this issue. I prefer to use yours,since you are always uptodate with your softwares several days before the others,,Honestly you are hard to beat.. Sorry, no time to spend. Use what is working for you.